The world leaders shake after deciding who will take the brunt of blackout days. Wikimedia Commons photo. 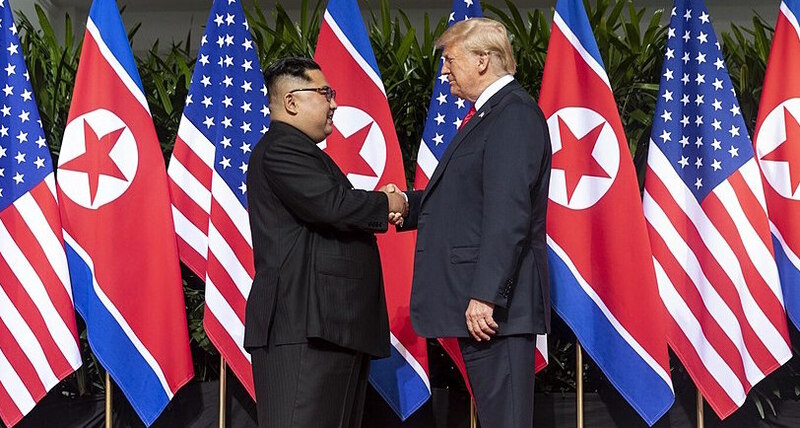 SINGAPORE — After tense, multilateral negotiations, U.S. President Donald Trump and North Korean leader Kim Jong-Un reached an historic agreement Monday to go halfsies on an Epic Pass for the 2018/19 ski season. The landmark agreement followed days of complex negotiations where both sides dug in their heels over a wide range of issues. Reports indicate the main point of contention revolved around whether to go with the full Epic Pass or to just go with one of the cheaper, local offerings. Insiders told TGR that Trump, a longtime skier, preferred the large crowds and added visibility the Epic Pass would afford him while Kim, an avid snowboarder and leader of the Hermit Kingdom, was a fan of the seclusion and general aura of mystique the independent resorts on the Freedom Pass could offer. They eventually agreed to "risk it" and hope one of Epic Resorts' feared yellow jackets doesn't catch on. Ultimately, the duo were able to find common ground in a shared love they found present in the Tahoe Basin: casinos. With the Epic Pass, the duo could shred the deep California pow atmospheric rivers deliver to Kirkwood, Heavenly and Northstar while indulging personal vices, with Kim free to roll to his heart's extent on the craps tables and Trump free to pretend he knows how to successfully run a casino. While the two leaders bear very little likeness and were concerned over the possibility of getting hot-passed, they eventually agreed to "risk it" and hope one of Epic Resorts' feared yellow jackets doesn't catch on. "We're going to split the cost of it," the POTUS told a throng of international reporters. "Look, with a helmet and goggles on, no lifty is gonna be able to tell us apart. And yeah, I'm a skier and he's a snowboarder, but together, we're going to make Epic Resorts great again!"